The Cleaning Gift Certificate Program is an easy and practical present for all kinds of occasions, starting at an affordable price (taxes not included, extra fees may apply), you can have a professional cleaner providing excellence and quality services to your dear ones. We also offer move in & move out cleaning gift certificate services with fixed prices starting at $250.00 plus tax for a team of professional cleaners. All our professional cleaning services with fixed rates guarantees our clients satisfaction, the deep cleaning move in & move out includes the items listed in the MOVE IN / MOVE OUT CHECKLIST below. Please call us to discuss which option will be most suitable for you. Applicable to Vancouver area, unless stated otherwise. Please call to confirm other areas. **Please make note of extra soiled conditions charge and exclusions or potential additional charges in the MOVE IN/OUT Checklist below. Our specialist cleaning team will work for 10 total labor hours to make your domestic premises clean, tidy and safe. The cleaners will complete various duties on your wish list and get down to the nitty gritty for a spectacular result. Applies to the Vancouver area only. Please call to confirm other areas. Travel charge may apply outside Vancouver. 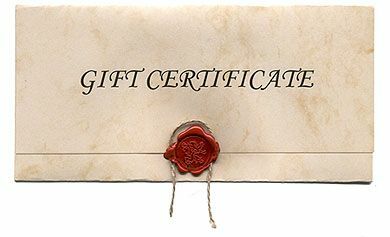 The Cleaning Gift Certificate Program is an easy and practical present for all kinds of occasions, starting at an affordable price (tax not included, extra fees may apply) , you can have a professional cleaner providing excellence and quality services to your dear ones. Applies to the Vancouver area only. Please call to confirm other areas. Travel fee may apply. A professional cleaner will work for 5 total labor hours to make your domestic premises clean, tidy and safe. The cleaner will complete various duties on your wish list and or a general maintenance clean as time allows, facilitating your daily routines. Applies to the Vancouver area only. Please call to confirm other areas. Travel fee may apply. Our specialist cleaning team will work for 10 total labor hours to make your domestic premises clean, tidy and safe. The cleaners will complete various duties on your wish list and get down to the nitty gritty for a spectacular result. Applies to the Vancouver area only. Please call to confirm other areas. Travel fee may apply. Copyright © Vancouver Cheap Cleaners Inc., Vancouver, B.C.